Federal American Eagle M855 Ammunition is loaded to NATO specifications, and has a true steel tip penetrator core. Headstamps will be marked with "LC" and the last two digits for the year of production. Brass will show annealing marks and is excellent for reloading after primer crimp removal. Bulk packed 500 rounds to a box. This ammunition is non-corrosive in boxer-primed, reloadable brass cases. Packaged in a military surplus 30 caliber ammunition can, this is a great grab and go option for a day at the range. The waterproof design of the ammo can also ensures the ammunition will stay in good condition through years of storage. Metal ammo can dimensions are 10"x3.5"x7" and have hundreds of uses once the ammo is all gone. 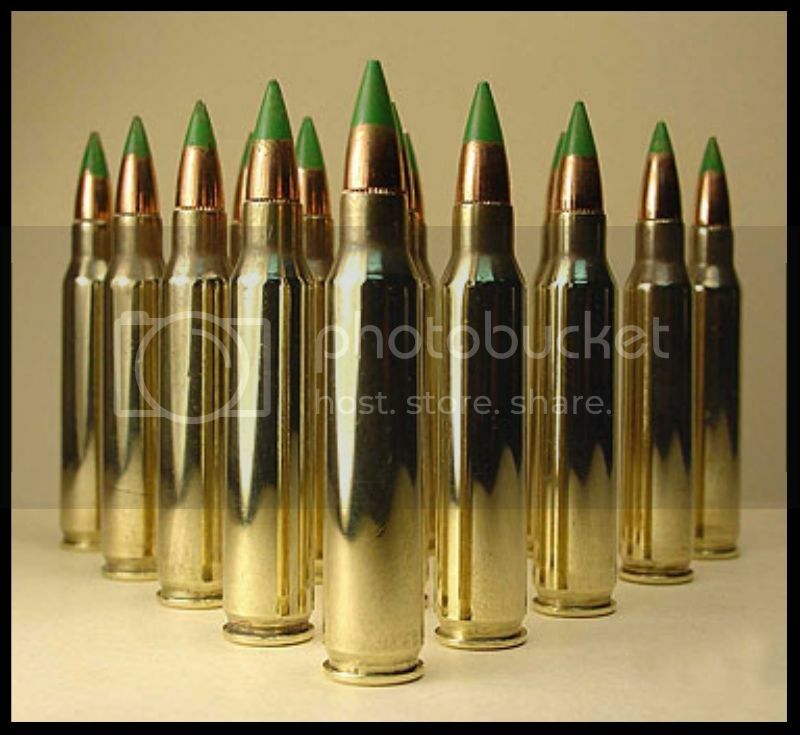 Please Note: While this ammunition is loaded with a true SS109 steel tip penetrator core bullet, the green paint as seen on military ammunition will be partly to totally missing. The green paint is a visual indicator only, and has no effect on the performance or accuracy of the ammunition.